The perfect replacement for your worn out battery cap rubber washers. This rubber gasket will fit all quarter-turn bayonet battery caps including speed vent caps. 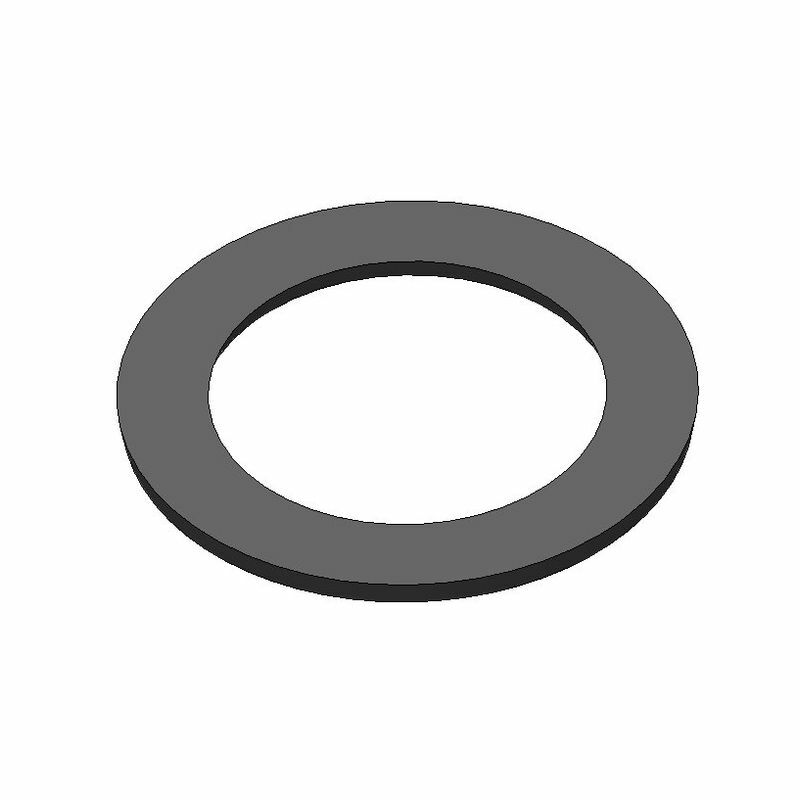 Our rubber washers will fit all of our battery caps except for part #2075, #2085, & #5000 (those models use O-ring seals instead of rubber gaskets). When you purchase any of our vent caps, this rubber washer is already included and does not need to be ordered separately. Our high-performance rubber washers are made of genuine Santoprene rubber for extra long life and superior durability. This rubber gasket is not affected by battery acid and will remain highly flexible to provide lasting sealing properties. We have used the same rubber washers on our forklift batteries for years, and we virtually never need to replace them. In our experience, these rubber washers will last the lifetime of the battery cap itself. To make sure they will fit your application, please measure your existing washers and compare it with the dimensions of our rubber washers that are listed below. This rubber washer is available in two thicknesses. Our #1050W rubber washer is .064″ thick and is used for most applications. This rubber washer comes standard on all of our battery vent caps and is the most common size. Our #1050W2 rubber washer is .110″ thick and is used in rare situations where the standard rubber washer is not thick enough to provide a good seal. 1.380″ O.D. x .946″ I.D. To buy, select the washer thickness in the drop-down box below. Then enter the quantity and click the “Add to cart” button. Then click the “Checkout” button that appears at the top left.